Okay, here's an update to an update. The update on my last post was that my faux flowers were made of straw. 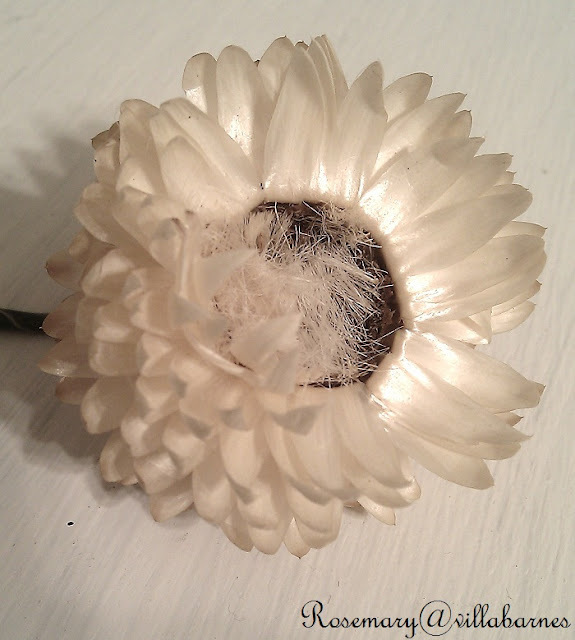 However, one of my Facebook friends left a comment telling me that straw flowers aren't made, they are actual flowers. Of course, I looked them up immediately. 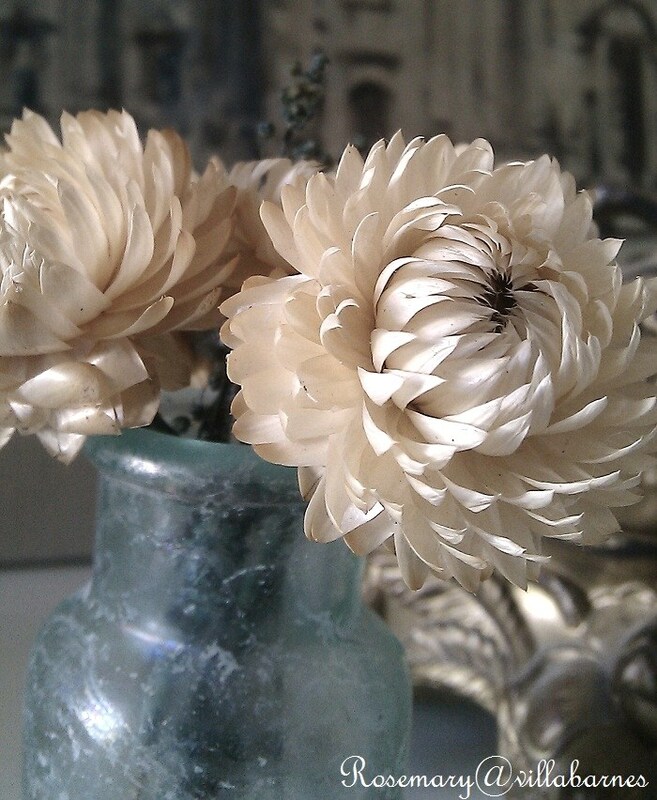 My faux flowers are real dried straw flowers. Gardening and such is not my forte. I had to take one of them apart. 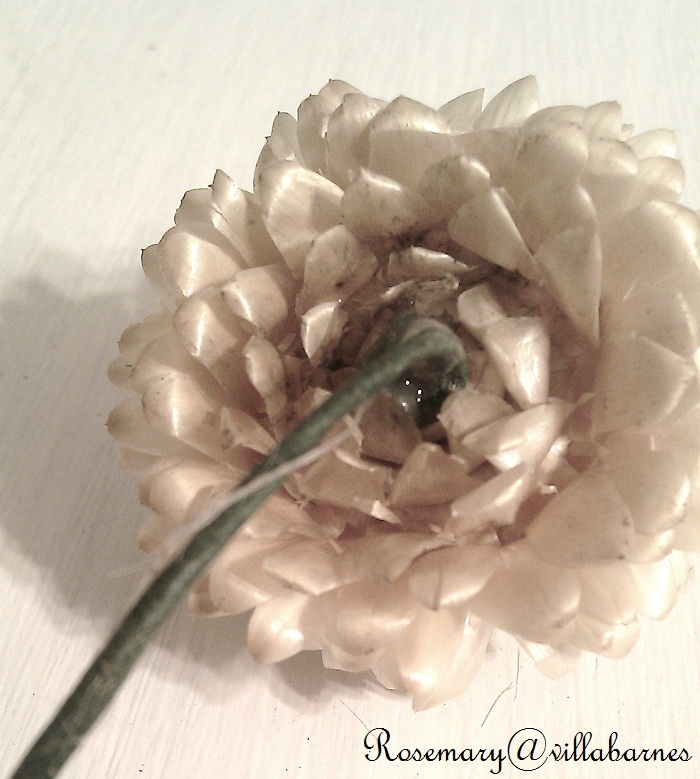 The petals fell as I pried the center open. Here's what threw me. All I focused on when I picked them up at the estate sale, was the wire glued to the backside. So, my faux are real, with a little addition. Okay, let's put this little mystery to bed. Enough flowers for now. Redesign next. See ya soon. Back in the 80's I made wreaths with those flowers. Well now that I'm reading this post I have seen straw flowers before but only in yellow. Have a great weekend! Beautiful flowers it's a shame it fell apart but now what a challenge for you to come up with something with those petal pieces. These are so cool! I can't believe they're real? They're in excellent condition. Great find Rosemary! LOL - I so remember using those for projects years ago -- the white is really pretty!